Members of the East Bay Rental Housing Association, a landlords' group, are raising money through two political action committees in an effort to defeat two Oakland property tax measures and a ballot measure that would limit the ability of landlords to carry out no-cause evictions. 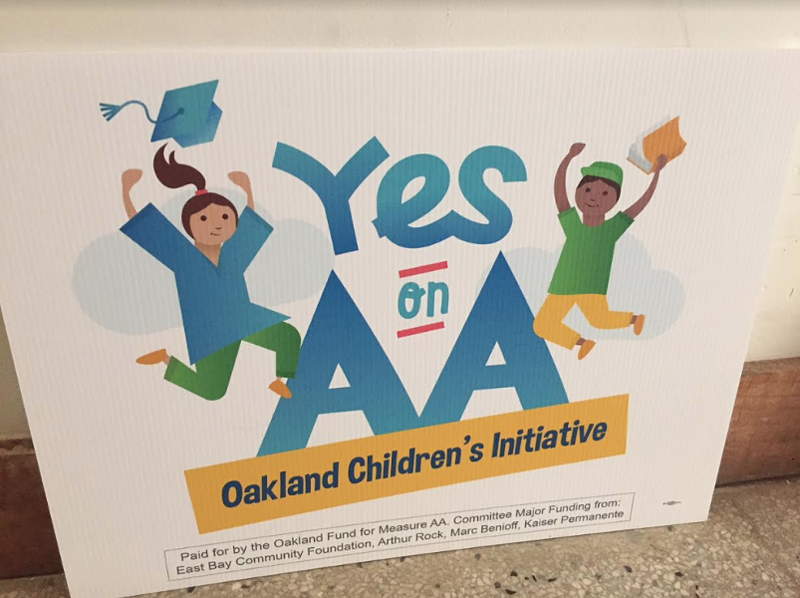 The “Committee for Better Choices” is opposing measures AA, W, and Y, which are on Oakland’s November ballot. According to campaign records filed last week, the "Committee for Better Choices" was created by Carlon Tanner. Tanner owns Beacon Properties, an Oakland-based real estate company. Property owners have already raised $31,905 for the PAC to campaign against AA, W, and Y. Major contributors include Luke Blacklidge, an Oakland real estate investor who is vice president of the East Bay Rental Housing Association. Morse Management, another major contributor to the PAC, is owned by Fred Morse, who is also a board member of the East Bay Rental Housing Association. Blacklidge contributed $5,000 while Morse Management provided $20,000. Measure AA would create a $198, 30-year parcel tax to raise $30 million per year to expand early childhood and preschool education. Oakland Mayor Libby Schaaf is a main backer of the measure. Measure W would impose a vacant property tax on parcels that are used less than 50 days out of a year. The money raised by the measure — which is also intended to discourage landlords from sitting on empty properties, which can become blighted — would pay for homelessness services and illegal dumping cleanup. Councilmember Rebecca Kaplan wrote the measure. Measure Y would expand tenants’ rights by applying the just cause eviction rules to owner-occupied duplexes and triplexes. Currently, these types of buildings are exempt and tenants can be evicted at any time for no cause, if the property owner also lives in the building. Councilmember Dan Kalb sponsored the measure. Property owners urged the city council not to place Measure Y on the ballot, saying it would harm small landlords by removing their flexibility to determine who lives in their buildings. With a narrower focus opposing the vacant property tax and just cause expansion, Homeowners for Fair Treatment has raised much more money, $127,995 as of last week. The biggest contributors are the California Association of Realtors, which provided $65,000, and the National Association of Realtors, which provided $32,500. Both groups have long opposed laws to expand tenants' rights. No political action committees have yet been set up to support Measures W and Y. But the early childhood and preschool parcel tax measure is being backed by its own dedicated PAC, “The Oakland Fund for Measure AA,” which has raised $1.32 million so far this year. The biggest sources of money for the pro-parcel tax measure are Quinn Delaney, a wealthy philanthropist who sits on the board of the East Bay Community Foundation. Delaney provided $50,000. The East Bay Community Foundation contributed $150,000 to the pro-Measure AA PAC. Several large corporations, including PG&E, Sutter Health, and real estate developers Julian Orton and TMG Partners have also provided the PAC with tens of thousands each.